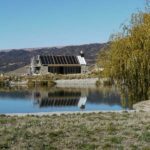 Getting a feel for the land helped an architectural firm create Annika Streefland’s beautiful Central Otago home. Annika Streefland’s home was designed by award-winning Custance Associates of Wellington. 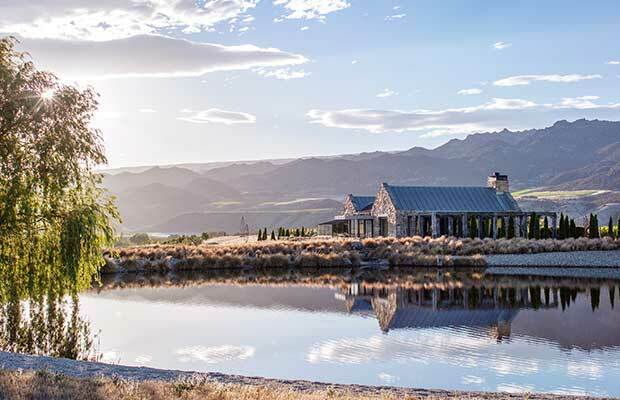 When Annika Streefland turned to Custance Associates to design a home for the land she had fallen in love with on the banks of the fast-flowing Clutha River north of Cromwell, she didn’t need to spend much time explaining how she liked to live. 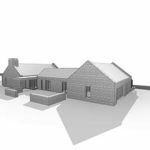 Not only is Custance managing director Jonathan Custance a longstanding family friend, he had also designed two previous homes for Annika. The first, a Wellington apartment interior fit out in the mid 1990’s and the second an extensive redevelopment of a heritage apartment building in Oriental Bay, including the interior fit out of one of the apartments for her own home in early 2000s. The Custance family visited Mt Koinga site on many occasions during the development of the vineyard. 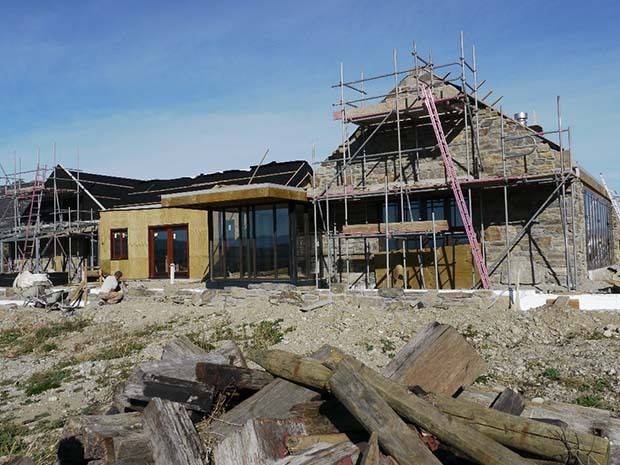 This allowed Jonathan to experience Central Otago and the site through the seasons. These visits also provided opportunities for ongoing dialogue and collaboration – oftentimes while tending the vines or sampling the vineyard’s excellent pinot noir (available from Prophet’s Rock under the Kopuwai Delta label). 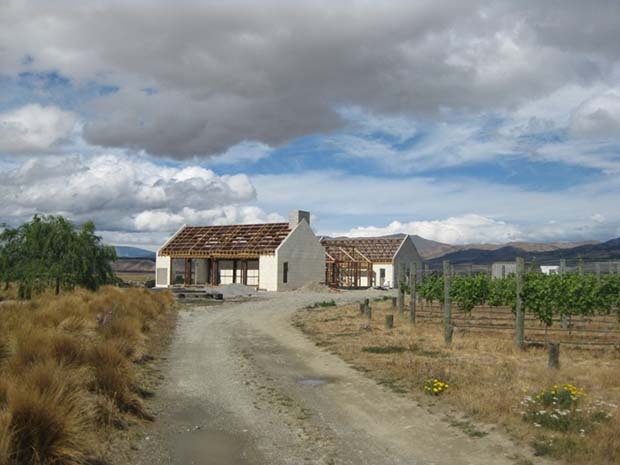 Annika’s brief was for a house that was responsive to the dramatic Central Otago landscape and surrounding vineyard. 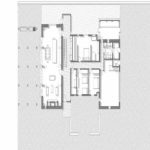 In particular, her desire was for the house to sit quietly within the landscape rather than be an architectural statement. It was also to be a quality home of understated elegance; built to endure several hundred years and provide sanctuary against the elements. 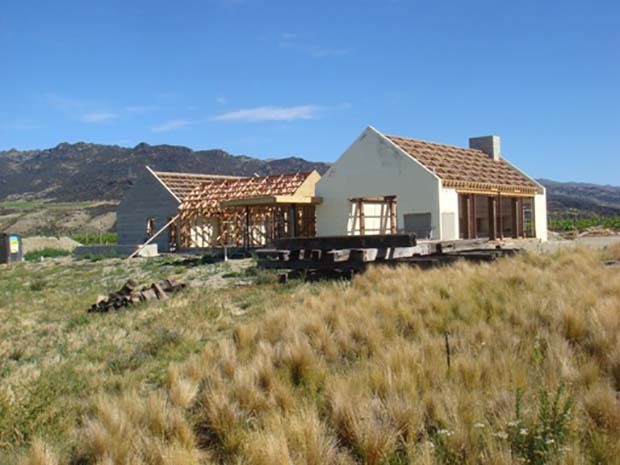 Annika’s initial idea was to build a single barn-like structure, referencing the local vernacular, with lean-tos either side. 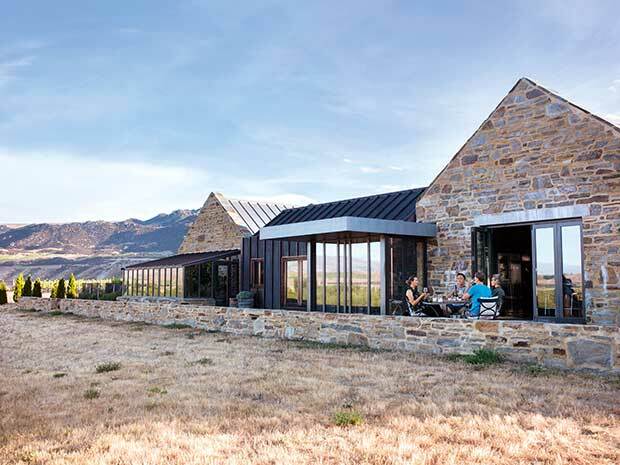 Custance proposed taking the traditional Central Otago form and materiality and giving it a contemporary twist and refined detailing. This resulted in a structure consisting of four simple forms. 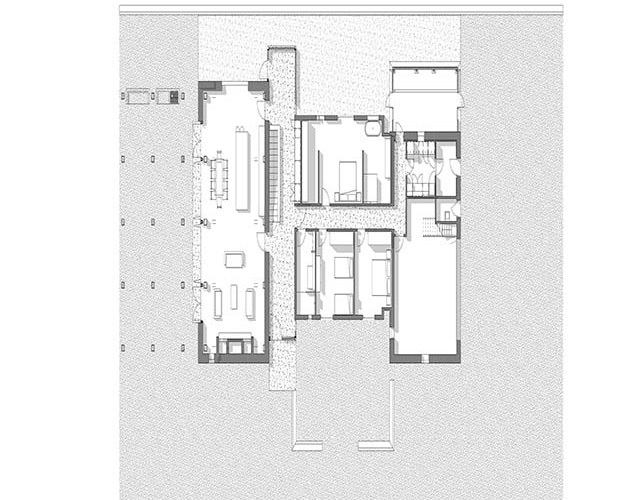 A large form is located at each end – one containing the living spaces and the other the garage and utility spaces. Set between them are two smaller forms running parallel to each other but perpendicular to the main blocks. 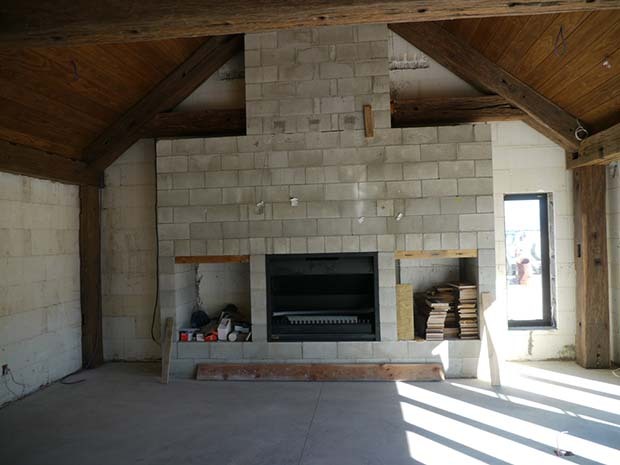 These house the master suite in one and two guest bedrooms and bathroom in the other. An honest, robust material palette of natural materials is used throughout. 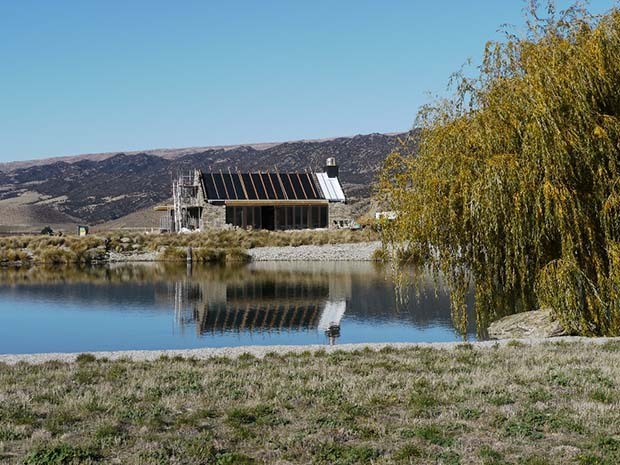 The smaller forms are fully clad in copper while the large barn forms are of traditional Central Otago Schist. 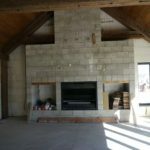 Both these materials are carried through to the interior, articulating the different blocks and providing a simplicity and cohesiveness. The massive exposed trusses and posts are repurposed ironbark timber members salvaged from a deconstructed 1880’s bridge which have been lovingly restored up by hand. 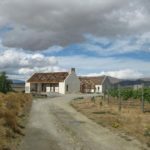 The house has been designed to endure for 200 – 300 years and provide a sanctuary within the extreme climate of Central Otago. 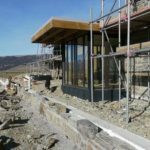 The well insulated structure is clad in long lasting, low maintenance materials including Zinc, copper, stone, concrete and timber. 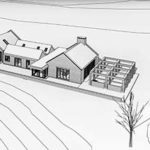 “What really satisfies me is giving a client an exciting, fulfilling experience through the design process by having them engaged as an integral member of the design team,” says Jonathan. “First and foremost, it’s important for me to build a really strong relationship with a client. This allows me to really get to know who they are as people, understanding their aspirations for their new home and what their parameters are. 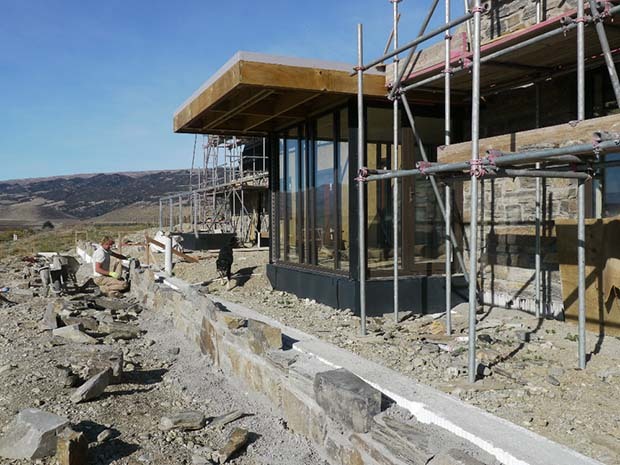 “Understanding the site in depth lets us to then build on that relationship to provide a foundation that allows us to share our collective knowledge and open up the opportunities and potential that a project offers. 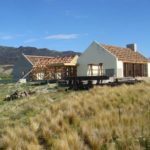 This is not a prerequisite, but in my experience, it’s what gives a home authenticity and true meaning to its inhabitants,” he says. The wines made from grapes grown in Annika’s land are available under the Prophet’s Rock Kopuwai Delta label. The vineyard is named after its taniwha, Kopuwai (also the name of a local mountain range – Old Man’s Range).